Ordering bikes online is becoming more and more popular because there are no shop-keeping or warehouse costs making cost even less! Don’t worry about the fact that you might think you have to try your bike first because I can assure you it is overrated. And very highly. Salesmen only tell you this to get more money from you! Asking why? It’s because that is only told by salesmen who know that there are decent bikes on the online market. There are many good methods to choose a good bike. I’m gonna show you THREE(actually FIVE!) METHODS if you don’t know, how to measure a bike. 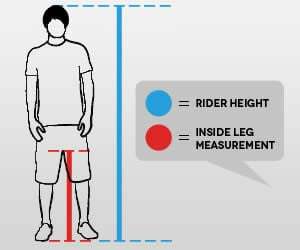 Take off your shoes and stand with your legs about 15-20 cm(6” – 8”) apart.Measure the height from the ground to your crotch. Be sure of the type of bicycle you want: Mountain bike, city bike or road bike. You can read about the different bike types. To make it simple – Bicycle Guiders’ bike size graph. Got the right size? Nice! And now go cycling! 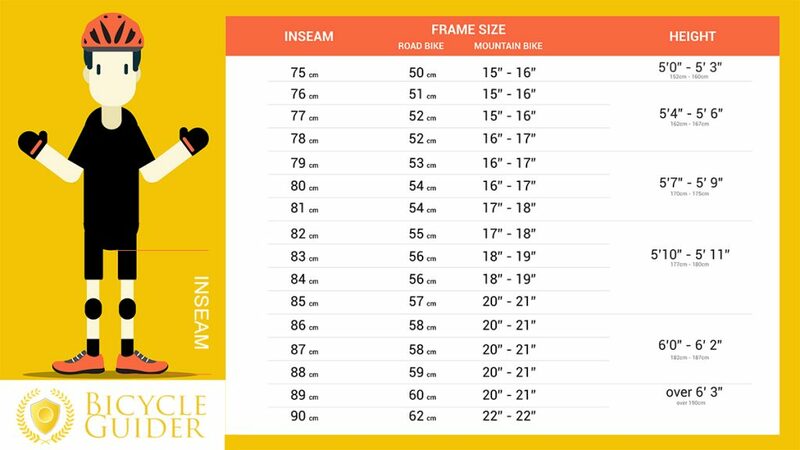 Please note that frame sizes from XXS – XXL don’t have the same meaning for every manufacturer. Those sizes (like on clothing) show current model sizes.